Help provide personal care items to those in need. Help the homeless and needy by being a part of the Mission Hope Hygiene Drive. You, your business, school, organization, or place of worship can help the homeless and needy with a fresh start in life. 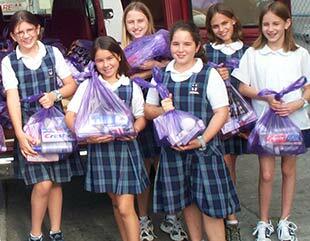 Fill in the form to get your Mission Hope Bags to help those in need. Living on the street, in a car, or in an abandoned building can be tough. Sometimes even life-threatening. But how about simple things... like not being able to bathe or brush your teeth? Can you imagine what a luxury a clean pair of socks would be? 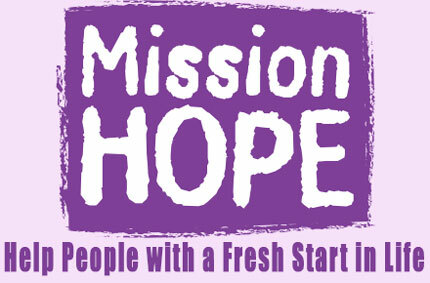 We invite you to join with our Miam-Dade and Broward Centers in: Mission Hope Hygiene Drive campaign. 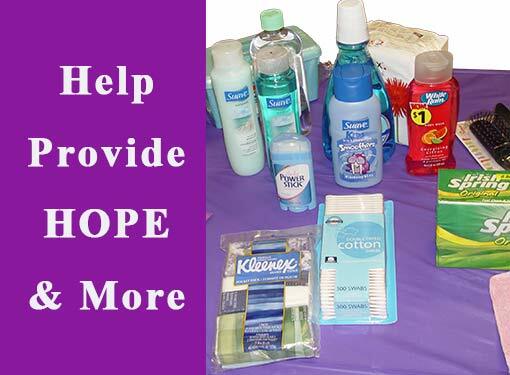 You order Purple Bags that you fill with personal care items and return to one of our Centers. What Can I Do to Be a Part of Giving Hope to others? Provide basic, personal hygiene items to thousands of needy men, women, and children in our communities. Complete the form to receive your purple bags. Fill them with listed items and either drop them off at one of our Centers or arrange for a pickup. This is a great way to help the homeless and needy. We serve over 1,300 people every day and need your help with providing basic personal care items. Perhaps your business, school, place of worship, or club can get involved. Get your purple bags now..
What goes into a Mission Hope Bag?